Haggis, according to the locals, is made from all things sheep: heart, lungs, liver, brain, stomach, and intestines. Sounds a bit off-putting, right? No way. Everything is grounded up, seasoned beautifully depending on where it’s made. There is the whisky sauce; there is the pepper sauce; there is no sauce and just down right yummy. I was a complete Haggis whore. I loved it. I can totally see why Scotland has giant men and women. This is food for the giants: tasty and nourishing. The brown cake at upper right corner is the Haggis. 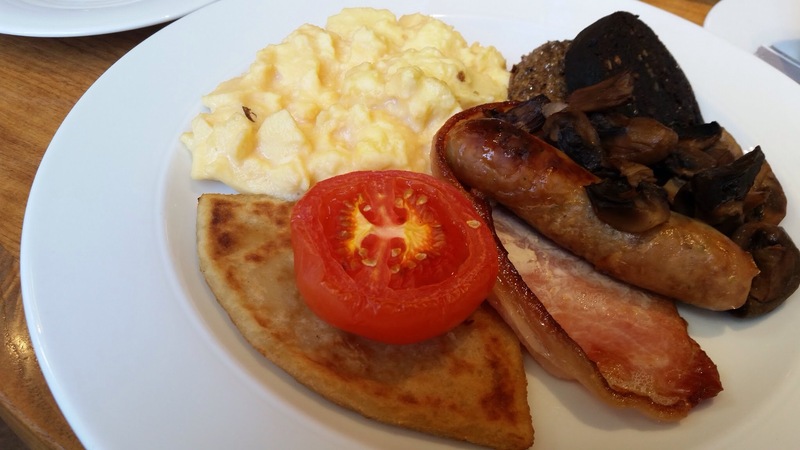 This is breakfast Haggis from the Elliot Restaurant & Bar at the Apex Waterloo Hotel (1) in the quieter part of Edinburgh. 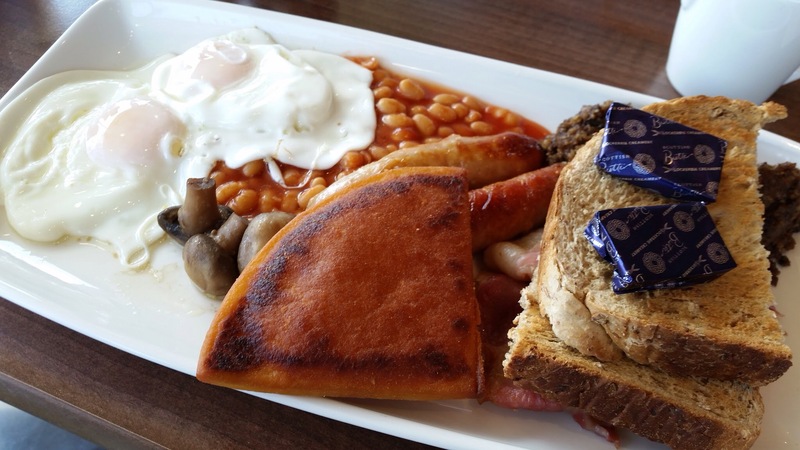 £13.95 for Continental Breakfast with Haggis. You see, I had Haggis in all kind of places. 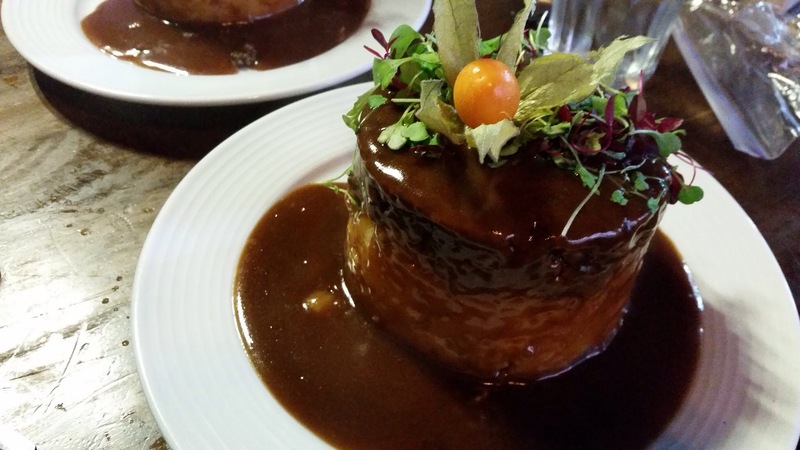 There was little research done on where I should go for Haggis but it was always excellent and mouth-watering. Listen, Haggis is nothing to be afraid of. It looks like meatloaf. The texture tastes a bit like meatloaf but better, crunchier and more moist. The flavor is outstanding (and to die for). 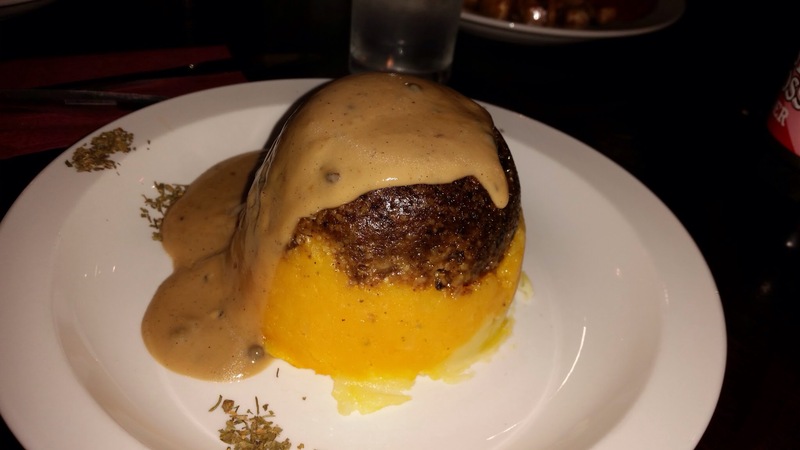 I was told that the Haggis from Hadrian’s in the Balmoral Hotel on Prince Street is the best for fancy eating but the idiotic restaurant and the concierge would not let me do a take out. The Scots definitely live inside the box. Regardless… the Scots sure know their Haggis and know how to satisfy. Haggis is now on my last meal list. It was such a memorable and delicious experience.